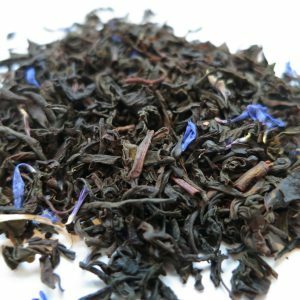 Afterglow – Banff Tea Co.
We think of this blend as ‘I’ve been struck with love’ tea. 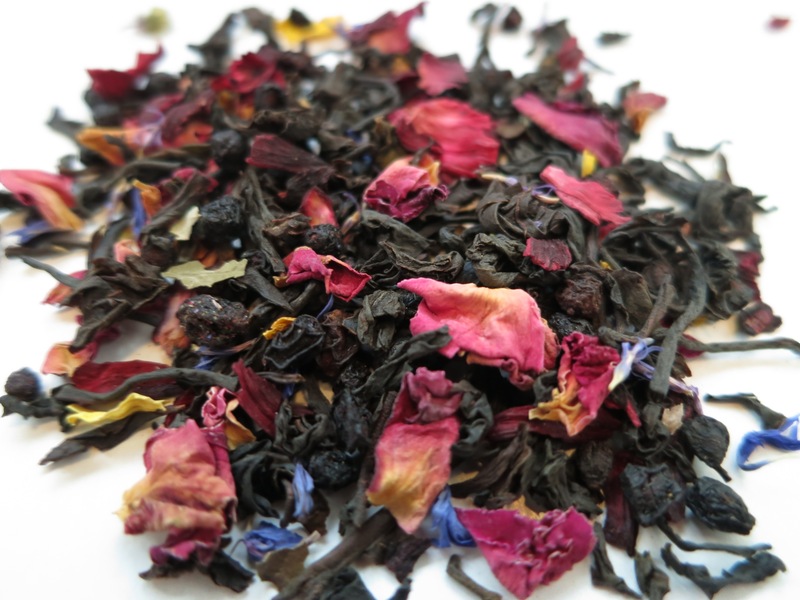 A cup of Afterglow will set you aglow for an evening of intimacy. 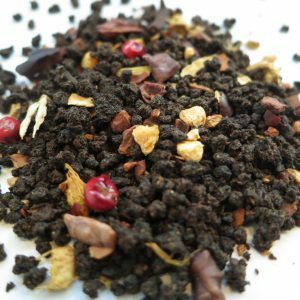 Ingredients: Black tea, hibiscus, rose petals, elderberries, raisins, blackberry leaves, mallow, sunflower and cornflower petals, natural flavours. 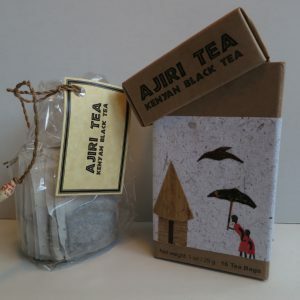 Steeping Suggestions: 1 teaspoon (3g) per 6oz cup of water, 96°C-100 °C (200-212°F) for 2-5 minutes.